I’m in a funk. It seems everything I do lately is turning out… well, let’s just say not exactly as planned. 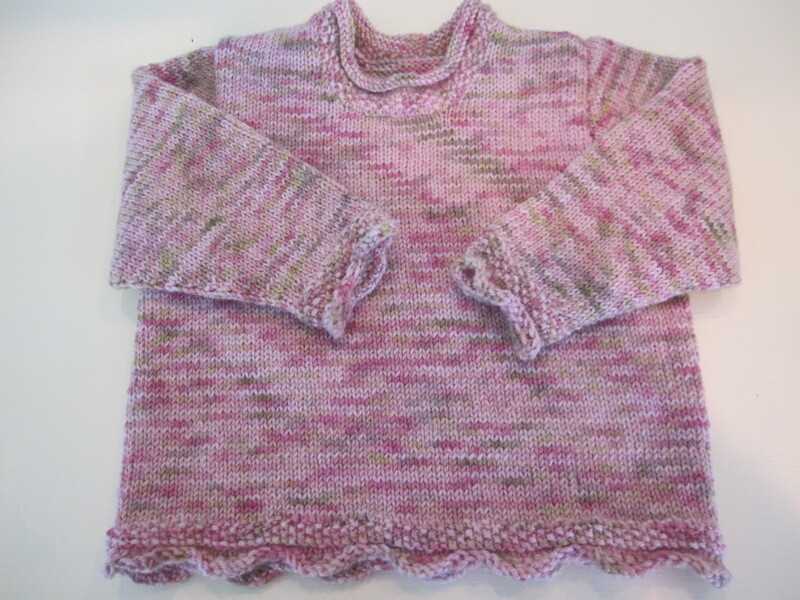 For example I finished my This Sheep’s for Ewe sweater. Though I’m happy with the shape and details it just wasn’t exactly what I was picturing in my head. Now that I’ve told you that I’m sure you’ll be tickled to know that I’ll be posting the pattern up on my patterns page in a day or so. 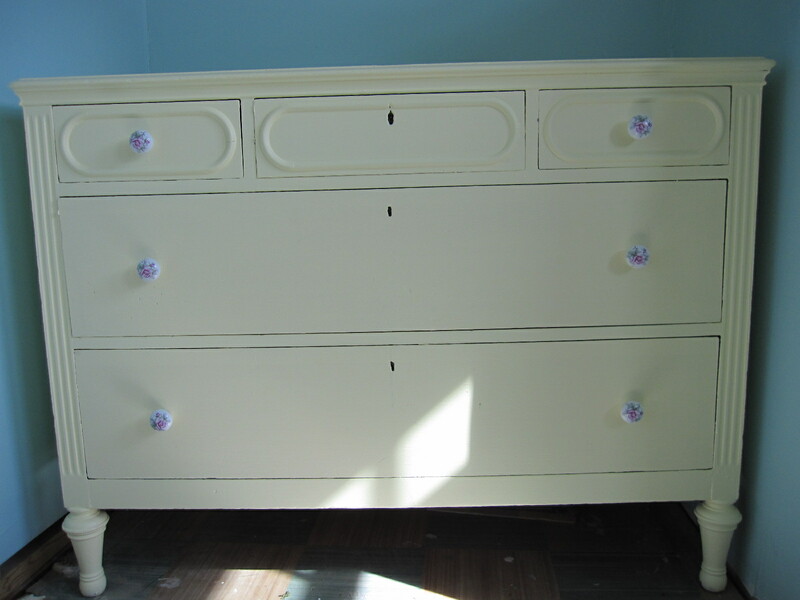 I than painted the babies dresser. Though the color is what I wanted. I for no explainable reason bought an entire gallon of paint for this. I’m not quite sure how big I thought the dresser was. I actually told this to the paint guy when he questioned my quantity for the dresser. “Oh yes, I do need a gallon, it’s a very big dresser” No it’s not. It’s an average size dresser. Now what the h**l do I do with this whole gallon of left over paint? Then I started my February Lady Sweater. Not only did I mess up the pattern, less than 1 repeat in. I kept going. I knew I had made a mistake, but In my current state of denial, thought it might fix itself. Surprisingly this didn’t happen. Now I have to rip it back. Like there was ever going to be any other outcome. I also am not sure I have enough yarn. I suppose I should check that before I go to far. But most of all I’m restless. Being home all day is definitely something to get used to. I’m also restricted in what I can do. I can only be on my feet for a couple of hours at a time, no heavy lifting, blah, blah, blah. Of course having a baby that goes to full term is what all this is about, so I’m trying to be optimistic about all this. With thoughts such as “you can come and go as much as you please,”” in a few months your life will revolve around a little 7lb persons nursing/sleep schedule.” But I’d so dearly love to go out and rototill my garden. Or paint and redecorate the babies room. Going for a nice long horseback ride would be pure heaven. I usually ride March through November. So I’m really suffering withdrawals from that. And I really, really want an ice-cold BEER. I love cold beer when the weather starts getting summery. ( Actually I love beer in all weather, I am a Wisconsin girl after all). But I have (at least) 12 weeks before that’s going to happen. Thank God I can still have cheese curds! Ahh well as my Grandmother used to say “This too shall pass”.